****UPDATE**** I’ve received several requests to share the pattern since it seems to be no longer available on Ravelry. Unfortunately, the pattern is not mine to share. 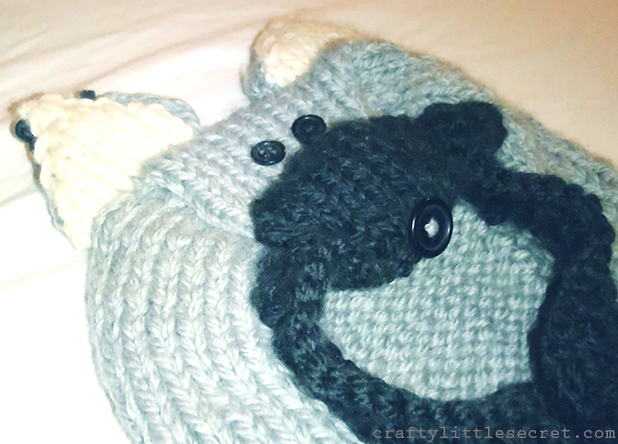 I’d recommend trying to contact the designer directly through Ravelry if you’d like the pattern. It’s become a bit of a tradition for me to knit my nephew a sweater for Christmas. He’ll be 2 in February so this year I wanted to make him something that he would think was fun. 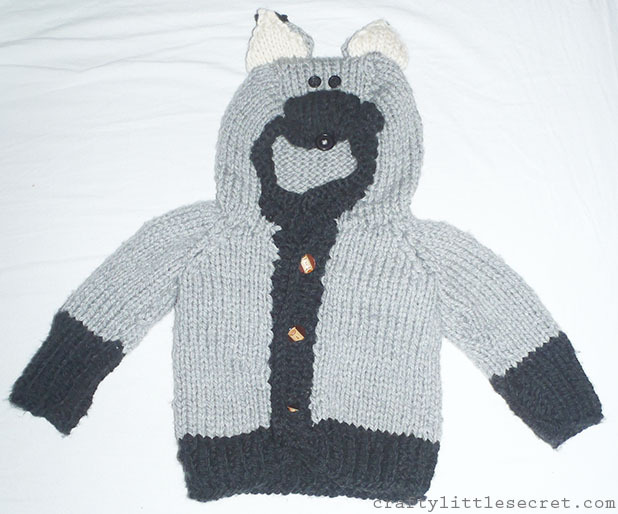 I somehow got it into my head that I wanted to make him a little grey wolf sweater, and the closest thing I could find that was close to what I was imagining was the Willy the Wily Fox knitting pattern. Turns out it’s pretty easy to convert a fox into a wolf. I really wanted a soft, washable wool that would be nice and warm and feel soft on his skin, but I also wanted flecks of different shades of grey in the yarn. That, apparently, is a tall order. The pattern called for super bulky weight yarn but I just couldn’t find anything I liked in that weight. Why do they make so many scratchy yarns??? I ended up buying something lighter and doubling up the strands as I knit it. Unfortunately, I didn’t write down what yarn I bought so I can’t share that with you. Just trust me that it’s soooooooooooooooooooft. And expensive. This might be the last year Ben gets a sweater. The little dude grows so fast that I’m sure it won’t fit him next year and I wasn’t that happy with the fit from the pictures my brother sent me. (The hood seems small and tight around his face, though now that I look back at some of the photos of the pattern on Ravelry, I think I should have expected that) It’s a lot of money to spend on something that he’s not really old enough to appreciate and won’t last very long. I’m also not sure that I really love knitting sweaters. I don’t know what it is, but I’m truly terrible at assembling them. This sweater looked, ooooooooh about a million times better before I assembled it and picked up the stitches to add the dark trim. I even went through the effort of carefully blocking each piece. I might be a scarf/hat/mitten kinda girl. Hey, kids need mittens too, right? Maybe we’ll be scaling down next year. The pattern came together pretty well, though it’s a little light on the definitions and instructions. For instance, sometimes the pattern will just jump from Row 17 to like, row 38 or something. That tripped me up and I thought rows were missing until I realized that meant I was just supposed keep knitting as before for those missing rows. But really, how hard would it be to add an extra line that said “18-37: Knit all even rows, purl all odd rows” or whatever? Just to avoid confusion for dummies like me. 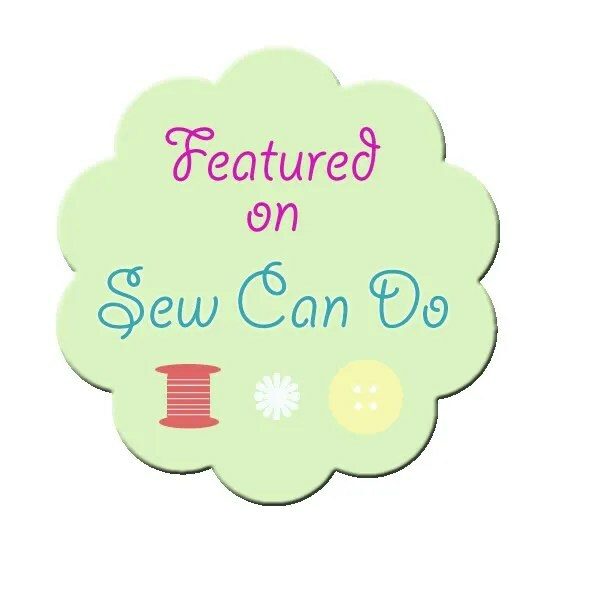 The pattern did include instructions for picking up stitches and sewing up seams. I used the buttons that I bought in Portland just over a year ago. I think they look cute on a little boy’s sweater and I’m not sure what else I would have used them for. So there you have it. Willy the Wily Wolf. Cute sweater for a cute kid and would definitely be a great pattern a little more adept at assembly than I. 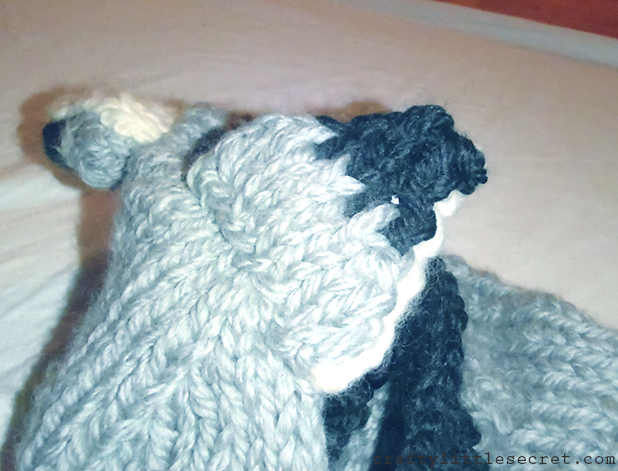 This entry was posted in Completed Knitting Projects, For Baby, handmade gift, Knitting on January 11, 2015 by missphd. Ben loves his sweater! He likes the buttons (and points to them saying “button!”) and the ears on the hood. He’s going to get lots of wear out of it this winter and spring! Where can I get the pattern for Wily the fox?. I so want to do it for my grandson’s birthday. Where can I get the pattern for Wily the fox?.. I so want to do it for my grandson’s birthday. What a precious sweater and the details — so special! He is a lucky little one! This sweater is so adorable. Great job and we all know how much love, thought and care went onto it. Nyour are a special Auntie. Pls send photos of cutie Ben in his sweater when you can. Great job. What a lucky nephew. The Ravelry page no longer lists the pattern and I would love to knit one… any chance you can point me in the right direction to getting this pattern? Is it possible for you to share your pattern as it is no longer available? I would be hugely grateful if that was possible! I so want this pattern too for my grandson who is 2. Have been trying for a year to find the pattern. If you get it could you shared with me please?.. Please can you share the pattern?!? Like everyone else I am thing to get hold of it!!!! Unfortunately, the pattern isn’t mine to share. I’d recommend trying to contact the designer directly through Ravelry if you haven’t already done so. Good luck!